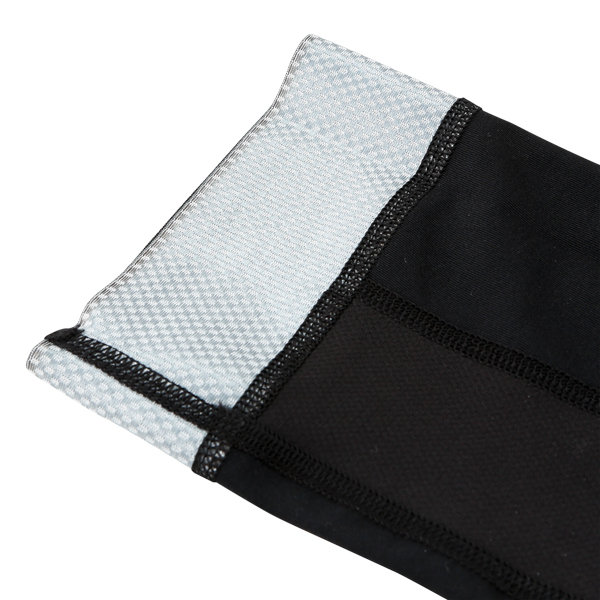 Stretchable mesh panel with Sweat-Absorbent/Quick Dry function. 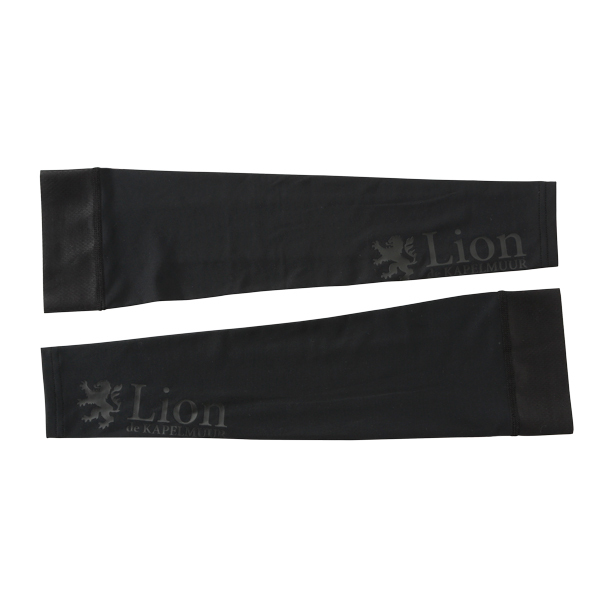 Features UPF 50+ rated high UV protection, Sweat-Absorbent, and Quick Dry functions. 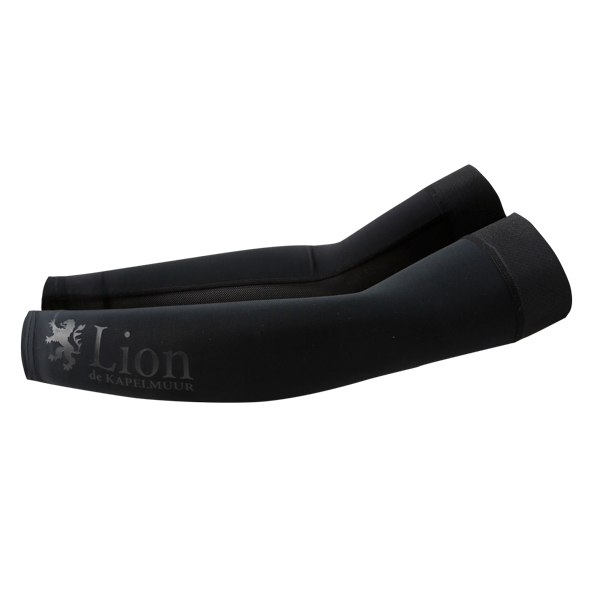 The latest soft and stretchable fabric allows you to ride without any stress. Wide and soft Anti-Slip Gripper Tape offers you stress-free fit. 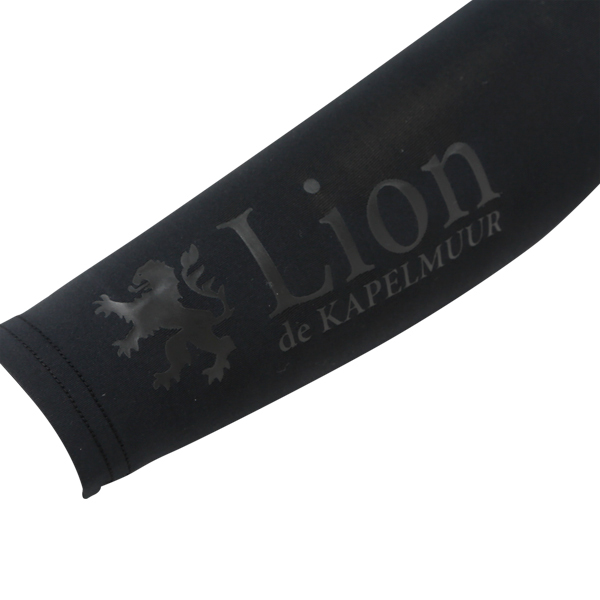 "Lion" emblem and "Lion de KAPELMUUR" logo are printed on the covers. 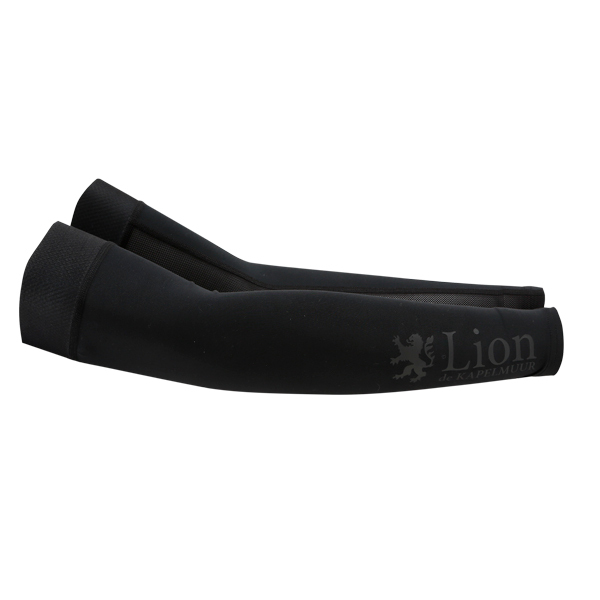 UV Protection Arm Covers keep your body cool and protect your skin from sunburns in early summer through fall. Also useful as windshields while descending hills in summer. *UPF=Ultraviolet Protection Factor. UPF50+ rating is the highest rating providing "excellent" protection against UV radiation.